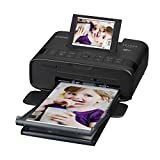 Best Photo Printers Under $200 - Compare: Epson, Canon, HP, etc. As any photographer who’s serious about their craft can tell you, there’s a lot of equipment you’re going to want to purchase to go along with your camera. Just think about it, you’ll want a few quality lenses, spare batteries, filters, speedlights, memory cards…Well, the list goes on and on! However, one accessory you may not think of is a photo printer. In this guide, we’re looking at the best photo printers under $200 (and why they’re so useful)! Owning your own photo printer opens up a world of possibilities to display your work. What can you use a photo printer for? In a world where we admire most photography online, photo printers are greatly undervalued. Not to mention, we now have a myriad of platforms and websites where we can get photos printed without having to purchase a photo printer of our own. Before we look at the best photo printers under $200, let’s slow down a second and talk about why it makes sense to actually own a photo printer. If you run a professional photography business, you may want to offer prints to your customer as a side project. Of course, some customers might be happy enough with just a CD or thumb drive with their photos on it. Others may want stylish prints or special items such as framed photos. This is particularly common for wedding photos and other special events. By owning one of the best photo printers under $200 you could add this service into your photography business. And the printer will pay for itself in no time! Making albums either for yourself, your friends, or even customers is another great reason to invest in a photo printer. Personal photo albums are fantastic items. I personally create photo albums for each of the big adventures I’ve taken. Some people use photo albums for holidays, or for occasions such as weddings, or documenting the growth of their children. Alternatively, as mentioned, you could use a photo printer to create high-quality albums for your customers. Printing your own photos to use as a wall display is a great reason to buy a photo printer. Finally, we have wall displays. Photos can be turned into amazing wall displays that can brighten up your home. By printing your own photos, you can exercise your creative skills and let your imagination run wild. Using your own printer can give you greater flexibility in styling your home, too. What features to look for when choosing the best photo printers under $200? To choose the best photo printer under $200 there are a few things to look for. Printers can be complex and have a myriad of features to consider. Resolution is hugely important – this will have a direct effect on the quality of your printed photos. Print resolution is measured in Dots Per Inch, or DPI as it’s more commonly called. Simply put, it means the number of dots of color present within a square inch. Printers are limited to the amount of dots per inch they can print due to ink and other factors. With that in mind, when researching the best photo printers, look at the highest DPI the printer can offer, and also the maximum resolution this translates too. A printer is an accessory – it’s a separate device from your computer. Thus, consider how you’re going to connect the printer to your computer (and whether or not your computer has the relevant connections!). Nowadays, the most common connections for printers are USB, Ethernet, and wireless. If your computer isn’t set up to work with a wireless printer, there are adapters you can use to make it work. The printers we’ll introduce you to in our list of best printers for under $200 will offer a range of options, so you’re bound to find something to fit your needs. Not every printer can accept the same paper size! Ideally, you want a printer that can print up to A4 paper size. Anything smaller than that and it becomes a specialist. You may, however, want a specialized printer that can just print Polaroid size photos for example. Always consider what you are mainly using the printer for, and what maximum paper size you may require. Now that you’re armed with knowledge, let’s look at the best photo printers under $200. The printers selected cover a myriad of purposes and come from well-known manufacturers such as Epson, Canon, and HP. The Canon iP8720 Wireless printer can print larger photos at high resolutions, making it one of our top picks for photo printers under $200. Not only does Canon produce awesome DSLR cameras, but they also make great printers too. The Canon iP8720 is a fantastic model at a steal of a price. On top of that, this inkjet printer benefits from a wireless connection – no cables required. This gives you greater flexibility when positioning the printer in your setup. The color system inside the printer uses 6 inks including grey and can print at a maximum quality of 9600×2400 DPI. The resolution is simply fantastic and results in high-quality photos that are super sharp and crisp. The Canon IP8720 also comes as standard with the Canon Print app which you can use to create collages and other print styles if that’s something you’re interested in doing. Now, you might think a printer capable of all that is going to be a space hog, but in terms of size, this printer is tiny. It’s actually low profile and doesn’t take up much space at all. Amazon reviews are fantastic. Consumers are going bonkers over this prosumer level photo printer and it’s easy to see why. Most rave about the print quality–especially at such a reasonable price point. The HP Envy 50555 is a wireless photo printer under $200 that gets great reviews by those who own it. Note: Availablity at Amazon.com may be limited, but you can buy the HP Envy 5055 at B&H or directly from the HP.com Online Store. Hewlett Packard is another heavyweight in the photo printer industry and their HP Envy 5055 is a good example of how they earned their rank. This photo printer specifically specializes in printing 4″ x 6″ photos. This is a standard photo size and perfect for photo albums. But if you foresee the need to print larger images, which you likely will if you’re printing for customers, you may want to check out another option. Using this printer you can copy, scan, and print. It even gives you the option to print double-sided photos too–great if you want to whip up some awesome postcards! The print quality for the 4″ x 6″ photos is fantastic – these photos are worthy to put in an album. The actual printer technology itself is fantastic too. It has a touch screen display – you can easily manage the print settings from here. Furthermore, the printer is compatible with the HP Smart app which lets you print photos on the go. This means you can print photos extremely fast – the printer can cope with a monthly duty cycle of up to 1000 pages. Amazon reviews generally point towards the easy installation and quick printing. The Epson Picture Mate 400 was an easy choice for our list of best photo printers under $200. Epson is one of the longest standing printer companies – they have been creating high-quality devices for years. The Epson PictureMate PM-400 is a brilliant device with wireless capabilities. This is a compact photo printer and is used for printing either standard 4″ x 6″ photos or 5″ x 7″ photos. The maximum print resolution is 5760 x 1440. What’s the greatest thing about this printer? If you use the high-quality photo paper, the end quality of the photos is absolutely phenomenal. Furthermore, the special Epson photo paper has a supposed shelf-life of 200 years. The device is extremely small and can easily fit on your desk or shelf – it’s also lightweight. This photo printer makes it possible to print borderless photos, perfect for albums and displays. If you wish, the printer can be connected to your computer via a cable, but the wireless connectivity works great too and provides the option to connect your smartphone or tablet to the printer. Gotta love that extra flexibility! This is certainly one of the best photo printers under $200. Please note: The HP Sprocket (2nd Edition) may not be available on Amazon.com, but you can buy the printer on the HP.com online store. First things first, the HP Sprocket is actually a portable printer. It’s unbelievably small and can easily fit in a handbag or backpack. You can use this printer to print out excellent quality 2″ x 2″ photos on the go. All you have to do is connect your smartphone, computer, or tablet to the printer and start printing. Talk about simplicity! This little guy is battery operated. But depending on how you look at it, I suppose that could also be a good thing! Regardless, we recommend you purchase rechargeable batteries to go along with it. The typical battery life lasts for 35 photos–not too bad! 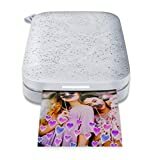 If you want to create fun photos from your social media accounts this is the best printer to use. You can easily pull photos from Facebook and Instagram, for example, and turn them into prints within a few minutes. This great printer comes from a well-respected name in the photography industry and has the specs to back it up. Last but not least on our list of best photo printers for under $200. With the Selphy printer series, Canon has entered the portable market. This portable wireless printer serves a similar purpose as the HP Sprocket.It allows you to print a myriad of small photos ranging from 2.1″ x 2.1″ through to standard 4″ x 6″ size photo prints. Though you’re not limited to those sizes, you can totally print in a variety of standard sizes too including postcard, square label and card size. The print technology is fantastic and the quality of the photos is excellent. You can print from your social media accounts such as Twitter and Instagram. Moreover, there’s a card slot you can use to print directly from your SD memory cards. The printer itself has a high-quality LCD screen which makes changing settings a breeze. This is certainly another fantastic portable printer at a great price! As far as portable printers go, the Canon PIXMA iP110 is a solid option for a photo printer under $200. Price on B&H (as on 20 March 2019): Under $150, Check Current Price on B&H. Plain and simple the Canon PIXMA is a fantastic all-purpose wireless printer. This device prints high-quality photos, in addition to printing standard paper documents too. That kind of versatility made it a no-brainer to include on our best photo printer under $200 list. It’s extremely compact and it’s slimline gives it a stylish aesthetic. The WiFi connection is solid as well. You can print from anywhere and connect to the printer using your phone and tablets. With a maximum resolution of 9600 x 2400, the print quality is magnificent – photos look fantastic. It’s quick too–9 pages per minute. And if borderless prints are your thing, this printer has you covered. Finally, it comes with the Easy Photo Print+ app that can help you print your photos in different styles and formats. The Epson Workforce 7720 made our list because of its high-quality photo printing, but it can do a lot more than print photos! This Epson printer is an absolute steal. It offers the largest print photos in our list of best photo printers under $200–it incredibly prints photos up to 13″ x 19″. Plus a myriad of other sizes. The Epson WorkForce really does hold true to its name – you can store 500 sheets of paper with a back output tray of 125 sheets. The capacity is excellent, especially if you need to print a large volume of photos. The quality is also excellent and precise, but the downside of that is it requires premium paper and uses a lot of ink to achieve those results–especially if you want to do borderless prints. On the upside, this printer is economical and hardly uses any power at all – it is a great environmentally friendly choice. Do your research, know what options you want, and see which of these printers under $200 checks all the boxes. Which is the best photo printer under $200? The above printers offer the best value for money without compromising quality. Each of the best photo printers under $200 listed has excellent reviews on Amazon. But, to chose the single best one, is going to require a little thought on your behalf, since different people will have different needs. We’re confident that if you require an affordable photo printer, one of the above will meet your requirements perfectly. If you have experience with any of these printers, why not drop a comment and share your thoughts? Next article50mm vs 35mm – Which Prime Lens to Buy?